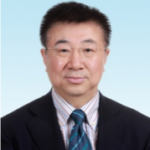 Professor Han is senior research fellow of Energy Research Institute (ERI) of National Development and Reform Commission of China. He has worked for ERI since 1982, and was its Director General from 2006-2016. His research focuses on China’s national energy development strategies and plans, national energy security, sustainable energy policies, energy market reform, energy subsidies reform and global energy governance. In recent decades China and Saudi Arabia have gradually deepened their collaboration in many areas. Five indicators are used to assess the overall progress of the two countries’ collaboration and to help form recommendations for ways to improve the integration between China’s Belt and Road Initiative (BRI) and Saudi Vision 2030. The strategic partnership between China and Saudi Arabia has presented opportunities for a new level of collaboration at a time when both countries are seeking economic transformation and sustainable growth. This discussion paper shows that: A structured policy coordination framework has facilitated cooperation in building local industries and constructing new cities in Saudi Arabia. Despite the progress made to date, significant gains can still be achieved by lowering trade barriers and improving the bilateral coordination of national regulations, planning, and investment. Total investment flows between China and Saudi Arabia increased more than twentyfold from 2005- 2015. Opening up the domestic market in both countries and increasing Belt and Road Initiative (BRI) related investments may help deal with challenges in the global investment environment and improve the alignment of domestic development goals. Establishing new financial instruments that build on the existing networks and a potential arrangement of Chinese yuan settlement can increase investment flows. From 2011-2016, there was a 50% increase in Chinese citizens working in the Kingdom and over 1,000 Saudi students were studying in China each year — an exchange of human capital that has benefited both countries. Three strategic areas are identified for deeper cooperation: Extending energy cooperation from traditional oil and gas to new low carbon technologies. Integrating petrochemical industry development across the value chain. Building local strength in industrial capacity by capturing the market potential of new construction. This paper also identifies five steps that could enhance the existing model of collaboration: defining a bridging strategy, building capacity, establishing a free trade agreement, encouraging a new partnership for financing, and building a joint research platform for energy collaboration. Please fill in your details and we will endeavor to respond within 5 working days.